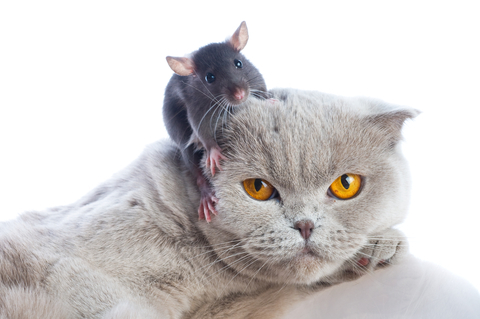 Do you ever feel like the frantic cat in a “cat and mouse” game? Always running, always chasing…looking for something to satisfy that gnawing hunger within…never quite fast enough to attain the sumptuous prize? Life can be like that. We chase after money, success, the perfect relationship, relaxation, power, position, a great body, boats and trucks and cars–none of it actually capable of filling the void that we feel. There is, however, a prize after which we were designed to chase and that is, God himself. Are you chasing after God? Do you want to meet with him? Do you want to be where he is? Are you searching for ways to serve Him? Are you following Him to places of darkness to shine his light of truth and to share the gospel? Have you said in your spirit, “God, I want to be where you are“? Now that is something worth chasing after! Give up the “cat and mouse game” of chasing after things that don’t satisfy. Instead, chase after God–find where he is at work and go there. Open your heart and life to Him. He will fill you with purpose, passion, and peace. This entry was posted in Spiritual Encouragement and tagged Encouragement, faith, peace, purpose, today's culture. Bookmark the permalink.